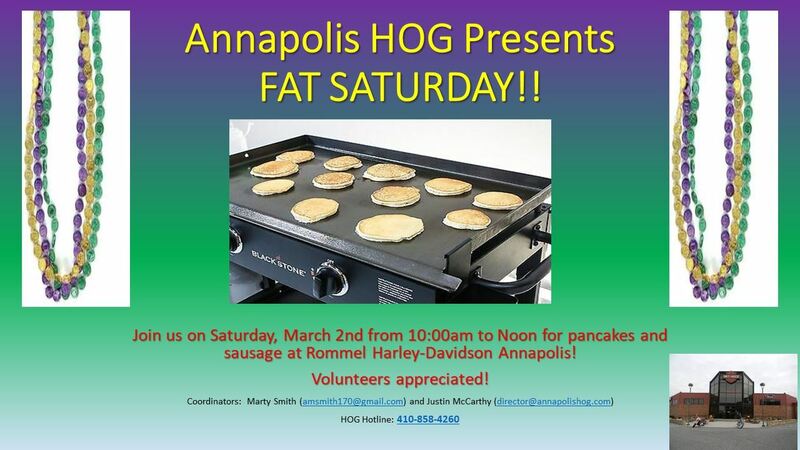 Annapolis HOG - HOG Pancake Breakfast - FAT SATURDAY! HOG Pancake Breakfast - FAT SATURDAY! Help us get our Mardi Gras on by joining us as we make hot pancakes, sausages and other breakfast items at the dealership for customers and other riders! If you are interested in helping out, contact Marty Smith at amsmith170@gmail.com!